This weeks jam will be at JJ's House! Why: Because we can and we should! Pehea'oe? How are you? Maika'i au! I am good and getting better. My back is feeling much better this week and I have not had any more seizures. Woot Woot! I had a CT scan over the weekend and have more tests in July and August. Cross your fingers and let's fight whatever this is together! With luck, I'll be able to drive again by Christmas. Sigh! My Neighbour Day Kanikapila this past Saturday was a blast too! I met many of my neighbours on the street and I even got to swap songs with one of them. He is a classical guitar player and sang some lovely flamenco pieces for me. I tried to play along, but it was hard to figure out the chords. I can't wait to play with all of you again tonight! This weeks kanikapila will be held at my shack. It's time to get organized and creative! Starting this Thursday I am opening up the shack to rehearse and write our material for the Ho'okipa Project. Have you been coming to my Tuesday night kanikapila for a while now and wish you could sing along with me in the Hawaiian songs? Have you heard the call to learn the Hawaiian language? Perhaps you just want to learn more about the hidden meanings behind many of Hawaii's famous songs. Well then come to my Olelo Hawaii class on Sunday's. We will slowly learn the Hawaiian language and some songs along the way and break down all the words, how to say them, what they mean, the story behind the words and song, etc... There will be no pressure to memorize, but a deep requirement to have fun and learn something while doing so. Why: To learn how to speak and sing the Hawaiian language and learn more about the songs. One evening will be in Calgary, one evening in Millarville. Limited availability for each night! It is time to tell you all my top secret plans for my ukulele posse! Pehea'oe? How are you? I hope all is well with you. I have now been back home for a week and I am back into the swing of regular life. I feel different though. I feel like my experiences at AMC 2 weeks ago heightened my emotions and feelings. I appreciate everything much more. I think practicing my oli while delivering mail also helps with this. 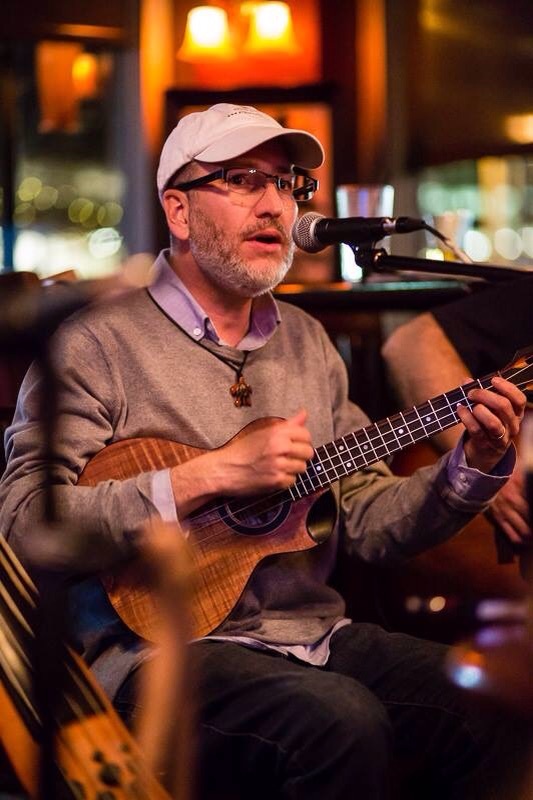 Tonight we will kanikapila at my Ukulele Shack! Have you been coming to my Tuesday night kanikapila for a while now and wish you could sing along with me in the Hawaiian songs? Have you heard the call to learn the Hawaiian language? Perhaps you just want to learn more about the hidden meanings behind many of Hawaii's famous songs. Well then come to my new Mele Kakou class on Sunday's. We will slowly go through one song per class and break down all the words, how to say them, what they mean, the story behind the words and song, etc... There will be no pressure to memorize, but a deep requirement to have fun and learn something while doing so. You may have noticed a new link on my website. The link says Aloha Nui Agency.... Well folks, I have an exciting partnership started with the one and only Herb Ohta Jr. I will be working hard to bring him to Canada in the very near future. Check out the page and watch out for Herb in Canada soon! Well my friends that is all the news I have for now..... more to come! Stay Tuned! Pehea'oe? How are you? I hope you are doing well. This past Saturday was awesome! it was nice and warm and we had a blast playing out in the woods. We will be returning to Capture The Flag next weekend so come out with us then. How Much: Depends how much you shoot and how good of a gun you want to rent. That's all for now my friends! Tonight we will gather in a new location. The lobby of my mom's apartment building at Riverside Towers. I performed here on Christmas Day, Boxing Day and New Year's Eve and I had some of the residents primed and ready to jam with us... I am excited to see what happens. The only catch with this venue is the lack of chairs.... They should have enough for us, but please bring along a folding chair with you tonight and your music stand in case we get a big turn out and run out of both. I know everyone is talking about new year's resolutions and such and I am not hip on them myself, but I have decided to play more paintball in 2017. I started playing this game when I was 16 and put it on the back burner for many years. Over the last 2 years I have taken my oldest sons out to play and we have all become addicted again.... so during the football off season Nathan, Avery and I will be heading out to the various paintball fields in and around the Calgary area as many Saturdays a month as we can. When it gets warmer I want to start bringing along my uke and jam out there between games. I may even bring along my uke this Saturday too. SO..... You are invited to join us, even if you have never played paintball OR ukulele before. This weekend we will be going to Capture The Flag in Cochrane. If you would like to come along please contact me ASAP so I can add you to the reservation list. The transition has begun! As you may notice my website logo has changed and the re-branding of Pirate Jim has begun. Watch for new video's and links and the ability to purchase my old and new recorded music. I have realized over the holidays that I don't really talk about the past or how Pirate Jim got to be Pirate Jim. There is a reason I wear a Buccaneers bandana a lot and I have 3 CD's for sale that will kind of explain it. I know, I know.... What the heck is Jim going on about now? In short you soon will be able to purchase my old and new music on my website but if you want to check it out right now you can go to itunes and check out The Buccaneers. I will be updating my website with itunes links very soon. Aloha everyone! Pehea'oe? How are you? I am very excited today even though it's -21C outside. 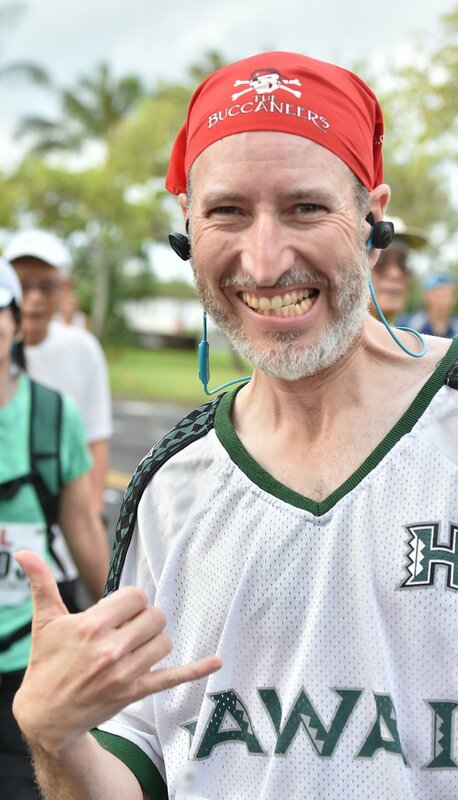 In just under 48 hours I will be boarding a Delta Canadair RJ 700 airplane with my mother to take us to Honolulu to compete in the 2016 Honolulu Marathon. 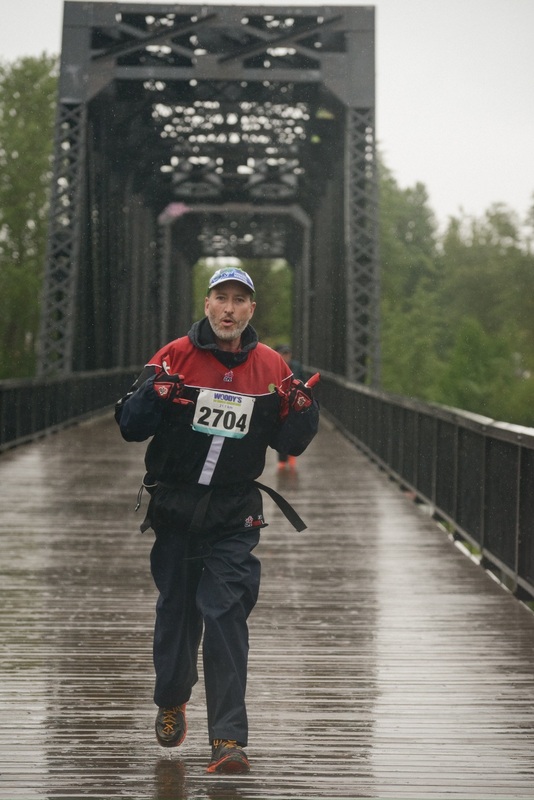 Today's picture was from my first marathon last last year. I am excited and nervous about the race but looking forward my 2nd marathon. I did compete in a 1/2 marathon back in May, but this time it's the full 26 miles again. I have been training all year and I hope I can beat my personal best. In 2009 I decided to put my performance career on the back burner and opened Bignote Music with my buddies Rodger and Hermann.... In 2014 we shut down Bignote Music officially and I restructured my part of the shop to focus on ukuleles only and with only an online store. This week I am evolving once again. I am returning to my artisticly focused life and making my store secondary. Pirate Jim's Ukulele Shack will still be around but will not be my focus. My website will change to Pirate Jim's artist website with the ukulele shack as my store that will not only sell ukuleles and accessories but also my music and Pirate Jim swag! Look for these website changes to start happening this weekend. As you may have noticed my FB page is already relflecting this change. I am also officially working on demos for 2 future Pirate Jim CD's..... Stay Tuned!!! Go Mom Go! Go Pirate Jim Go! Pehea'oe? How are you? Maika'i? Good? Well I'm on top of the world this week because my beloved Calgary Stampeders won the Western Final and punched their ticket to the Grey Cup (Canada's version of the Superbowl for all my non-CFL watching ohana). Go Stamps Go! This weeks jam will be at the House of Yates. Dance Montage 2016 is taking place at the University of Calgary Theatre at the U of C campus. There are a bunch of different dance pieces all created by different choreographers in the show and our piece is the Hawaiian themed one. We have 14 or so dancers and me! I have taught them all 2 oli chants and we perform two hula's back to back. I am very excited to show you our work. All performances are at the Unversity Theatre! Pehea'oe? How are you? Happy Aloha Tuesday! It's a crazy Tuesday with the big race down south between Trump and Clinton... who will win? To close to call at the moment, but we'll serenade the new president in together with some beautiful ukulele music tonight! Unfortunately Avery's team lost their championship game this past weekend so our football season has come to and end for another year. Although you lost the big game, only losing one game all season and only allowing a total of 3 touchdowns to be scored on you all season, you should be proud. Why: Becaue we can and we should! Yes folks, you have read correctly. My weekly Kanikapila is now free!!! Anyone who has prepaid for next year will be reimbursed ASAP! Now you have no reason to not come try strumming with us Tuesday nights! Come down to the Calgary Christmas Night Market on November 18, 2016. I will be performing with Aloha, eh! and the Nahlani Productions dancers. Who: Pirate Jim performs LIVE with Aloha, eh! and the lovely hula dancers from Nahlani Productions. It's June 21! We made it to summer! Woot! Woot! School is almost done for the year, the days are the longest they will be all year, it's warm and the CFL season officially starts this week! Now all we need is our ukuleles and we can sing till the sun don't shine no more! We also found our new ukulele shack and we start moving this coming weekend. Singing is my favourite thing to do in life. I sometimes even get paid money to do it! What? Really? Get outta here! Yup! I can also do it in Hawaiian! The Hawaiian word for sing is hīmeni. Add a ka in front (which means "to"), and you have ka hīmeni. Aloha e hīmeni! This week we are back at the old shack for the very last time! It is Tuesday once again and time to kanikapila. This week we are back at my ukulele shack and I can't wait to start strumming. This week's Hawaiian word is hua. It has many, many definitions, but it is most commonly used to refer to eggs or fruit. Hua can also refer to things which are round in shape, much like eggs and fruitS like kiwi, apples, oranges and such. Appropriately so, there is also a Hawaiian moon phase called hua, which is when the moon is waxing and nearly full. Under the hua moon, the night was considered sacred to the Hawaiian god of agriculture, and as such was good luck for planting and fishing. My picture for the week is from last Wednesday night. My good friend Rodger Leeder was having a going away kanikapila at an Irish pub. He let me break the rules and play a few Hawaiian tunes at the Celtic jam. I'm going to miss Rodger, but I am very happy for him too. Happy trails my friend and enjoy your new new home in Nova Scotia! Where: At Pirate Jim's Ukulele Shack - 87 Tuscany Springs Way NW in Calgary. How Much : $5.00 drop in, $50 for the yearly membership. Why : Because it's a heck of a lot of fun and a wonderful stress relief especially under a hua moon. Pirate Jim's 2015 BLACK FRIDAY SALE!! !